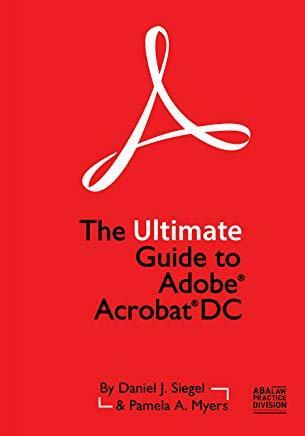 2This book is a comprehensive manual for how to use, and get the most from, Adobe(R) Acrobat(R) DC (both Standard and Professional). Although the book explains why certain features are of particular relevance to lawyers, the book focuses as a whole on explaining how Acrobat works, for anyone. This book can be used and understood at all levels. A high school student could get as much out of this book as an attorney or another legal professional. It is for everyone. But, if you are a legal professional, we also provide advice and examples on how using Adobe Acrobat will enhance your practice - information not available in any other book.